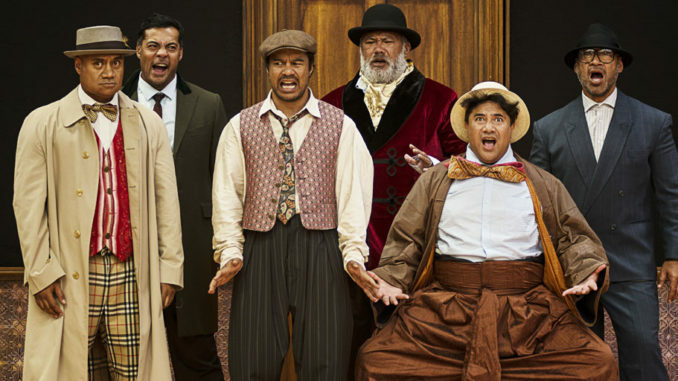 Although fully clothed at all times, The Naked Samoans are well and truly naked on stage in their latest show – their first together in many years. They don’t try to hide the fact that they are novices at magic. In fact, it is their bare-all attitude that endears them to the audience. Watching people walk into the Civic before the opening night show was a treat in itself. Many looked like they wanted someone to pinch themselves because they were seeing their idols in a hallowed space. The Naked Samoans are national treasures, to be revered and embraced because of their charming demeanour. Above all it’s their glib banter that is their point of difference. As they self-deprecatingly point out, they are not standup comedians and they are convinced that their rocky beginnings would have made Billy T James spin in his grave. However, it’s their endearing qualities that have made them an entertainment industry institution and a vital element of public consciousness. So if you walk into the Civic to see the show, it’s essential not only to suspend your disbelief but also to remember that The Naked Samoans can do no wrong! The minute they open their mouths, unveiling their recognisable wit and humour, all we can think of is how much we have missed seeing them collectively live on stage. And oh how we’ve missed their astute observational comedy that made all of us love them. Poking fun at us in an effortless way – a pub banter – a sharp retort – a deeply thoughtful silly commentary – they’re finally back!!! Direction from the incomparable Nina Nawalowalo, coupled with her equally talented partner-in-crime and life Tom McCrory, gives the show its sheen. Their shrewd creative collaboration is the winning combination that provides the production its edge. 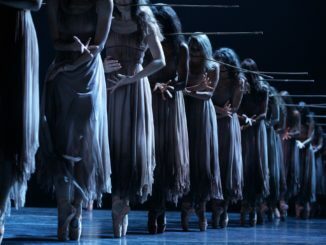 In addition, Penny Fitt’s imaginative set includes unique moving parts which add to the spectacle on stage. McCrory’s music selection reminds us of a bygone era. Reminiscent of traditional magic shows, the carefully curated music is spot on and creates a wonderfully nostalgic tone. The show is distinctively structured, insightfully separated into three main acts. Although the show is billed as The Naked Samoans Do Magic, that is not the point. It’s the magic that the 6-pack bring to stage that makes this a bewitching evening. It is a sight to behold when the audience emerges both starry eyed and beaming because The Naked Samoans have once again done what they do best – entertain. The show does become a tad protracted, specifically during some of the chasing and set moving scenes. Personally, that characteristic Naked Samoan banter should have been further embellished. However, there are a number of highly complex sequences that are skillfully pulled off by Stage Managers Morag Carter and assistant Jordan Keyzer. We agree that it is The Naked Samoans’ staying true to their craft, with their honest delivery, that sees them through some possibly fearful on-stage moments. We both love the no-holes-barred piss-taking attitude they recaptured on stage with this historic reunion, which we reiterate has been long overdue. Their blisteringly profound and bitchy honesty is what we miss the most. The hope is that this has rekindled their affection for working with one another. Selfishly, it’s a plea for The Naked Samoans to keep the Pacific fires burning in their particular way. Their distinctive Naked voice and influence on popular culture is an essential part of the Kiwi fabric, which must live on. If you love laughter or you love and appreciate The Naked Samoans, come to this show. If you love magic, come to this show too. It’s not about illusion. It’s a celebration of what The Naked Samoans uniquely create when they get together. And that’s what’s magic. The Naked Samoans Do Magic is presented by The Conch plays at The Civic until 25 March as part of the Auckland Arts Festival.